Oh, the luck of the Irish. St. Patrick’s Day is here and it’s a Saturday so a full weekend of fun. Best do me nails for the occasion. I did a quick french mani and then added a little clover to my pointy and pinky fingers. 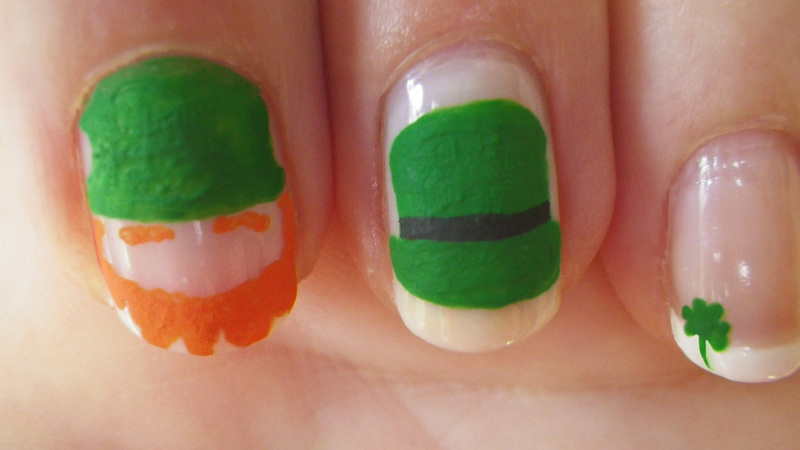 I use Essie – Blanc, OPI – In My Back Pocket and China Glaze – Four Leaf Clover for the Irish Republic Flag. 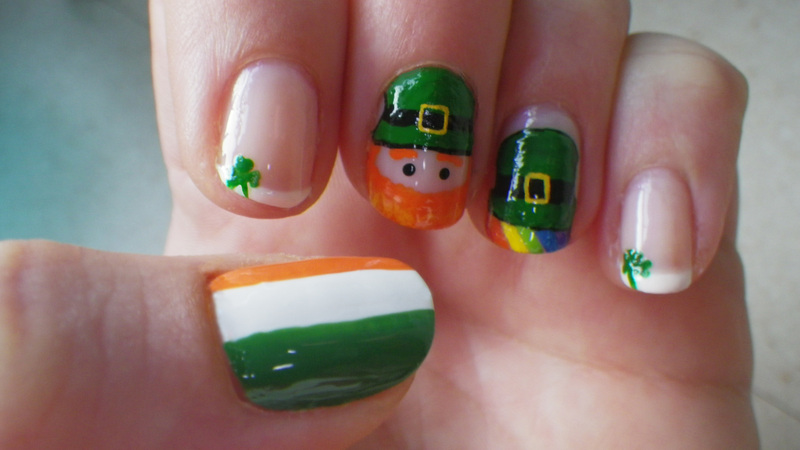 A wee leprechaun for the middle finger and a Irish hat and rainbow for my ring finger. The acrylics I used were black, yellow, orange and green, red, light green, blue, purple.